Dyson made (and is still making) fantastic household appliances. In this article, we are going to take a look at two of their cord-free vacuum cleaners, Dyson V6 Vs V8. Both are convenient, lightweight, portable and effective, but which offers more? Which of these vacuums will survive our informative and objective Dyson vacuum comparison? Let’s find out. Dyson v6 Vs v8: Which Vacuum Is Better? Dyson V6 Vs V8: Which Should I Buy? 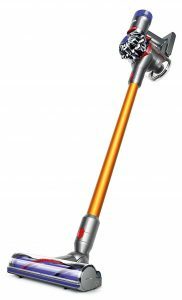 Dyson V8 is overall a better vacuum. It has more brush power, longer runtime, and it comes with more attachments, HEPA filters, and so forth. V8 is more expensive than V6, but offers more features and functions, and is also better rated than the V6. However, V6 is not an outdated option. This is still a solid and consistent vacuum, cordless, lightweight, with decent battery life and potent suction power. 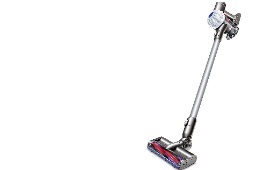 It is also cheaper, ideal for those who want a Dyson V vacuum, but don’t want to spend too much money on new models. Dyson V6 if Dyson’s first member of the V family (V6, V7, V8, V9). It is 9.8 x 8.2 x 46.4 inches big, weighing only 4.5 pounds (2 kg). V6 is very affordable and effective and features a strong motor powered by one lithium-ion battery. It is cordless (trademark of Dyson V family), runs for about 20 minutes, and uses all-surface cleaning head. V6 is also versatile: you can use it in Handheld mode by detaching the wand. Also, you should know that the vacuum is fairly simple to clean. Not ideal for pet owners. V6 is a lightweight and affordable cordless vacuum cleaner, ideal for people who want hassle-free vacuuming. While it isn’t as good as other Dyson V vacuums, its vacuuming performance wouldn’t disappoint you. 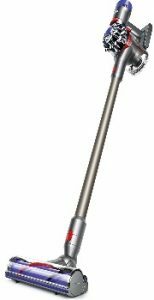 Dyson V8 (also known as Dyson V8 Animal) is 8.2 x 9.8 x 49 inches big and weighs 5.64 pounds. It is convenient, cordless and ruthless, ideal household cleaning. 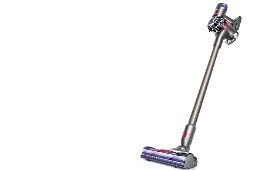 It runs longer than V6 (40 minutes), and is very rapid and effective for vacuuming debris, dust, pet hair. Is handheld and compatible with Dyson attachments (crevice tool, mini motorized tool, etc. ), has HEPA filtrations, and a lot of suctioning power. 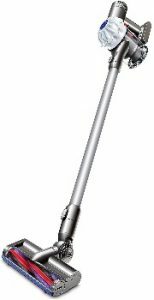 Together with Dyson V8 Absolute, it is the best Dyson cordless/handheld vacuum. Dyson V8 is sophisticated and durable pet hair vacuum. It has tons of suction power, comes with plenty of attachments, and runs for 40 minutes (which is generous). It is convenient and can be used for stairs, floors and upholstery cleaning. Here, we want to find the answer to this question: what are the critical differences and similarities between Dyson V6 cordless vacuum and Dyson V8 animal cordless stick vacuum? Also, why is V8 better, and is it ideal for pet owners? Let’s find out, shall we? V6 and V8 features similar design: V8 is only 2.5 inches longer than V6, and weighs one pound more. These vacuums are designed to be powerful and elegant. Both are lightweight and cordless and can be used for cleaning all floor types, stairs, underneath furniture, and hard to reach spots. They both feature small and light motor (made by Dyson), designed to align with Dyson’s portability and ease-of-use. 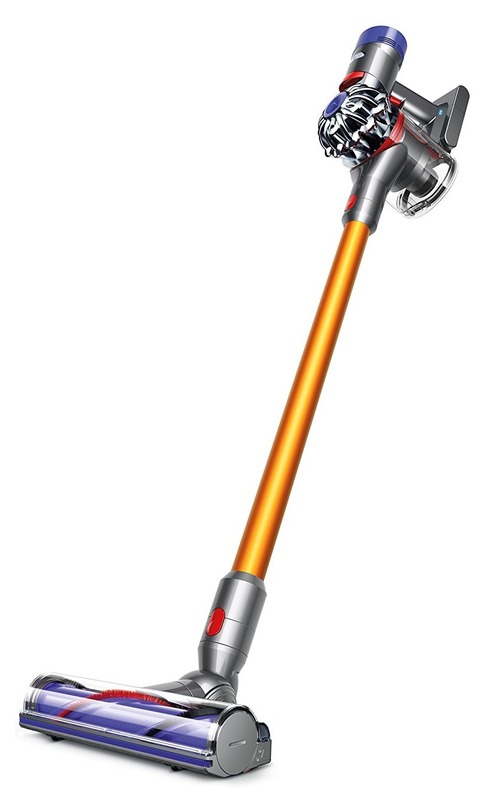 They convert to a handheld vacuum (once you remove the long wand), with the power to attach different Dyson attachments (such as Combi Tool). V8 also comes with Mini Motorized Tool, which transforms it into a perfect Dyson animal cordless vacuum, perfect for pet hair vacuuming. It is also worth pointing out that you can store your attachments on charging station so that they are always available to you. Also, we have to say that the V8 features newer and more hygienic dirt ejector, which empties dustbin with a single click. V8 offers better cleaning performance than the V6. Its Direct Cleaner head provides 150% more vacuuming power than the V6’s Motorized Cleaner head. V8 also doubles the V6’s runtime, running 20 minutes longer than V6. V8 also comes (and is compatible) with a lot more attachments, which allow it to be more efficient cleaner. V8 comes with Crevice Tool (for those hard to reach areas), Motorized Tool for pet hair, Soft Dusting brush. Alas, it features HEPA filters on how to keep the filters clean), making your home dust and allergen-free. V8 also features Max Mode, which, if turned on, delivers maximum cleaning performance. Max Mode will drain your battery, and we suggest that you use it conservatively. Most importantly, V8’s two-tier 15 cyclone technology allows much smoother airflow, allowing you to collect tiny dust particles. Both of these vacuums are all-surface cleaners, able to clean carpets, rugs, hardwood, tiles, and so forth. But, we should point out that V8 offers better performance on vacuums, and with cleaning pet hair. This is because V8 features a stronger and more advanced vacuuming system, especially if you switch it on Max Mode, which will undoubtedly vacuum even the most stubborn debris. But don’t misunderstand us; V6 is still an excellent vacuum, for both carpets and floors. As we said, V8 comes with more attachments than the V7. You have Combi Tool, used for removing the dirt around your home (mostly used for cleaning furniture). Note that the Combi Tool can be extended by a few inches. Then you have the Mini Motorized Tool, used for collecting hair and ground in dirt. Crevice tool fits into very tight spaces and Extensive Wand for cleaning up high. However, more attachments also mean more maintenance. Thankfully, V8 does feature a better filtration system, as well as the new Hygenic Dirt Ejector, which helps when you clean the vacuum. Overall, V8 is slightly more difficult and more expensive to maintain than V6, but only because it has more parts (see how you should clean V8). We know that the V8 is better than V6 in many fields. However, V8 is expensive, almost doubling the price of Dyson V6. The question is: it worth it to buy V8? Do you get your money’s worth? We believe (as do most Dyson customers), that V8 is worth the price, especially if you have pets. The extra attachments are also fantastic, and the vacuuming power doesn’t decline even after long-term use. In short; if you can afford it, go for the V8. You will have to maintain it more than you would V6, and frequently empty the dustbin (especially if you vacuum pet hair); nevertheless, it’s still worth every penny. But don’t think that V6 isn’t good for pet hair, or all surface cleaning; it is, it’s just that V8 does the slightly better job in almost all fields. V8. Even though we spent most of our words describing V8 and emphasizing its advantages over V6, we should say that V8 was based on V6; it is still the same vacuum, but with a touch of more advanced engineering and design. But if you think that V8 isn’t worth the money, buy the V6. It will clean your home almost as good as V8 and will require less cleaning and maintenance, and less money on spare/extra parts. Of course, if you can afford it and don’t care much about the price, go with V8, arguably of the best Dyson animal vacuum. Whichever you buy, make sure that you perform regular checks, and that you clean the vacuum according to instructions, to ensure Dyson cleans your home for a very long time.